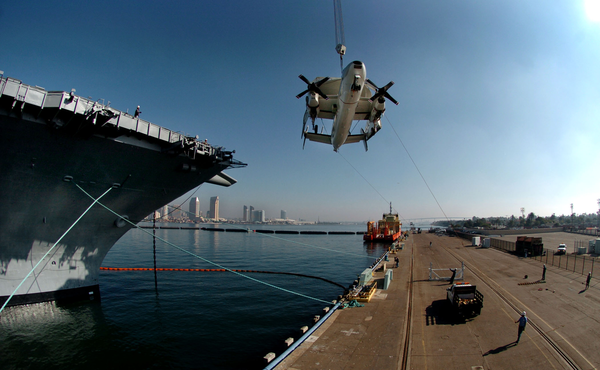 A Retired E-2 Hawkeye Is Hoisted Aboard The Decomissioned Aircraft Carrier Midway At Naval Air Station North Island, Calif.
A Tugboat Tows The Decommissioned Aircraft Carrier Midway Into San Diego Bay. Tugboats Tow The Decommissioned Aircraft Carrier Uss Midway Into The San Diego Bay. A Tugboat Tows The Decommissioned Aircraft Carrier Midway Past Fort Rosecrans National Cemetery To San Diego Bay. The Decommissioned Aircraft Carrier Midway Makes Its Way Across The San Diego Bay To Its Final Resting Place At Navy Pier Where It Will Become The Largest Museum Devoted To Carriers And Naval Aviation.